Another Radio 1 Live Lounge – this time Imagine Dragons’ cover of Rudimental, which you can hear here: http://www.youtube.com/watch?v=uA0yyeYX0CY Starts off kind of slow, but his voice is amazing towards the end. The Season Finale of New Girl: a happy ending, yey! I find this show so funny and heart warming, and this episode was particularly hilarious. Find it on 4od. I’ve been planning a term’s worth of assemblies this week for an Infant School, including a series on Harvest/Thankfulness, a couple of assemblies on Remembrance and Peace, and then several on Christmas. 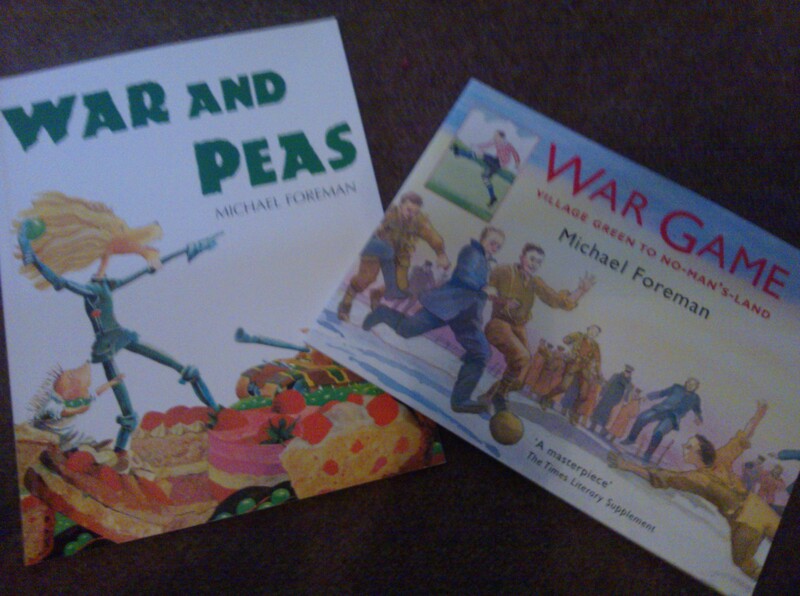 I’m really excited to be including three books by my favourite children’s author, Michael Foreman! We’ll be using Dinosaurs and All that Rubbish when thinking about how we look after the natural world, War and Peas when thinking about sharing with people in other countries and War Games for Remembrance Day. I think the War Games session will be a very profound one: the book shows a group of boys playing football on the village green who are then called to fight in the first world war, and it then tells the story of the Christmas Day football match on the frozen mud of No Man’s Land. We won’t be able to tell the whole story, but we’ll be able to show some of the pictures and then write the children’s thoughts on a football as a way of connecting with the young men who fought and suffered in a war which started almost a century ago. So, this is the part where I own up to a mini failure. It turns out ‘not buying new clothes this season’ is harder than I thought! I mentioned last week my resolution not to buy clothes this Autumn (apart from a coat) and to give the money I would have spent to charity (a decision which came from feeling really challenged about the situations of others around the world and wanting to do more about it). While in the shops getting some resources for work, I happened upon a bag and skirt which I couldn’t resist! Oh dear. How awful it sounds that I couldn’t even have the basic self control to put other people’s suffering before a skirt and bag! Perhaps I shouldn’t have set myself up for the fall in making the promise in the first place. By the time I’d driven home, though, I had found a way to make it right and handed both over to Andrew, telling him I’d bought him a Christmas present to give me! This morning I was almost tempted to wear them after all, but I managed to resist and am quite excited about the prospect of putting them on on Christmas morning! So all is not quite lost in the end, and here’s a sneak preview of what I’ll be wearing in January! The Royal Standard Pub in Forty Green (Bucks). 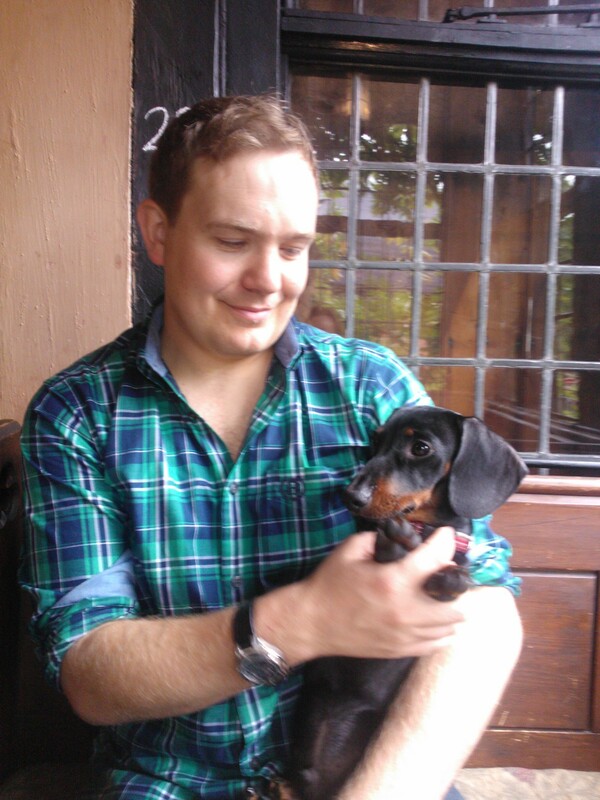 I LOVE this pub – it’s old, full of curiosities and history, and dog friendly. Plus, the food is great! Andrew, Jamie and I had a walk in the rain in the fields and woods nearby followed by a lunch there, sat in the window looking out at the rain. So cosy and such a nice way to spend a day off. I had the salmon salad which was soo good and served with Dill Mayonnaise. 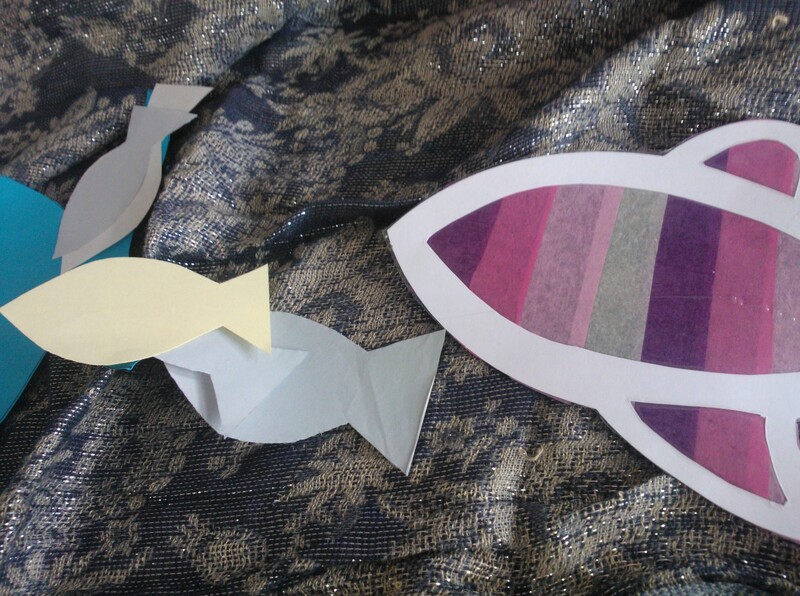 I’m taking a break from my ‘Job in Pictures’ posts so here are a few word snapshots: I helped fellow school Governors put on a thank you meal for school staff; I used a load of coloured fabric and various objects to tell the Christian creation story to an assembly of 5-7 year olds; I ran my first youth cafe of the term; I enjoyed cheese and wine at a volunteers’ meeting (and am still enjoying the leftovers); I lugged bags of drinks cans for the youth group to the fifth floor of a car park; I met some other lovely youth workers who gave me soup and brownies, and I did a lot of planning! Oh, and I had my face covered in shaving foam and wotsits! Hmmm… what have I been thinking about this week? I have to say it has felt like my head has been pretty full of worky things. It can feel really overwhelming and sometimes I don’t feel I have it in me to manage it all, but I’ve been thinking about how God has sustained me in the past – and this reminds me that He will keep me going now too! There are a lot of great Bible verses that reiterate this message, for example Psalm 33: 20 – ‘We wait in hope for our Lord, He is our help and our shield’. I have also been appreciating the new season of Autumn – the freshness of the air, the slowly turning leaves, the re-opening of my scarf box, and the new beginnings happening in the community. My sister is about to start university and it is so exciting to wonder what the year ahead will bring for her – new friends, a new course in the thing she loves (dance), new opportunities and experiences. I talked with the little ones at Infant school about how new starts can be scary and unsettling, but are also hopeful and exciting. 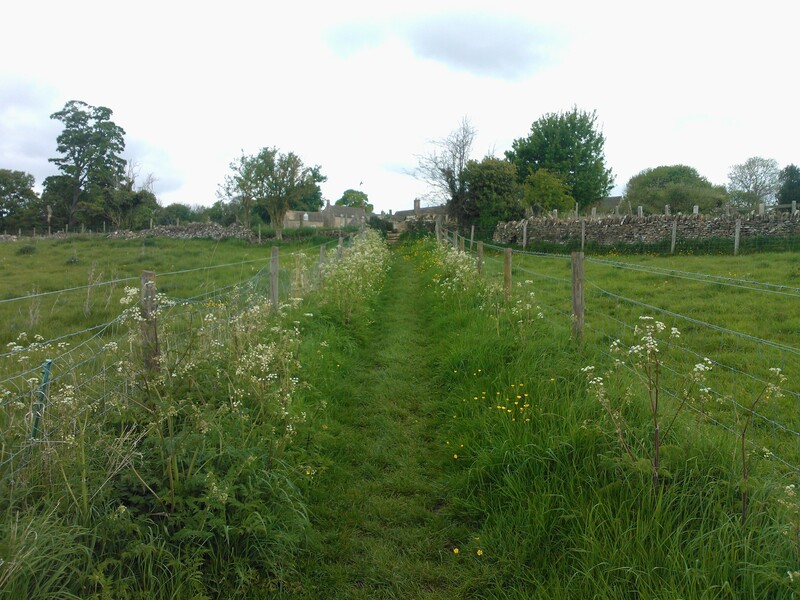 I was struck when re-reading the Creation story in Genesis of the hopefullness and anticipation in God’s well known statement as he looked at the potential of the new world He had made: ‘It is good!’ I suppose, though, that with new beginnings there also comes responsibility. We have to choose how to respond to and embrace each new opportunity and to make what we can of each new situation. I think this is a good thing for us all to consider – after all, we all have a new start 365 times a year, when we open our eyes, get out of bed and step into the day. I really enjoy reading these, keep them going.